Macdonald, the father of American golf course architecture, modeled several holes from some of the most famous throughout Europe. The 8th Hole was styled after the “Redan” at North Berwick, the 13th after the “Alps” at Prestwick and the 15th after the “Eden” at St. Andrews. His associate, Seth Raynor, assisted in the course construction and returned in the 1920s to oversee updates to the golf course. The Greenbrier is a distinct and spectacular luxury mountain resort situated in the Allegheny Mountains in White Sulphur Springs, West Virginia. It’s best known as “America’s Resort” and is synonymous with world-class, authentic, southern hospitality. The Greenbrier experience, beginning in 1778, offers a luxurious respite to discerning guests from around the world. The grand scale architecture, Dorothy Draper décor, immaculate attention to detail and legendary gracious service set The Greenbrier apart from all others. Guests walk in the footsteps of Presidents, celebrities and generations of families who regard The Greenbrier as a “one of one” destination. The 710 perfectly appointed Signature Resort Rooms, Classic and Historic Suites, Legacy Cottages and Estate Homes are situated on our breathtaking 11,000-acre playground. Play championship golf courses or experience more than 55 activities, including professional indoor and outdoor tennis, Off-Road Driving and Falconry. America’s only private casino features table games, slot machines and simulcast racing. The Greenbrier’s full-service, 40,000-square-foot world-renowned spa is widely recognized as one of the most luxurious mineral spas in the world, and the Retail Collection is comprised of 36 boutiques, shops and hand crafted works of art. In addition to The Main Dining Room, The Greenbrier Restaurant Collection is comprised of 19 restaurants, cafés and lounges featuring traditional, award–winning southern-inspired cuisine. The Greenbrier Clinic has been practicing diagnostic medicine since 1948 and in 2014 was expanded to include a full-service MedSpa and Plastic Surgery Center. The Greenbrier Sporting Club is the pinnacle of luxury real estate, offering exclusive home sites within distinctive neighborhoods across The Greenbrier estate. 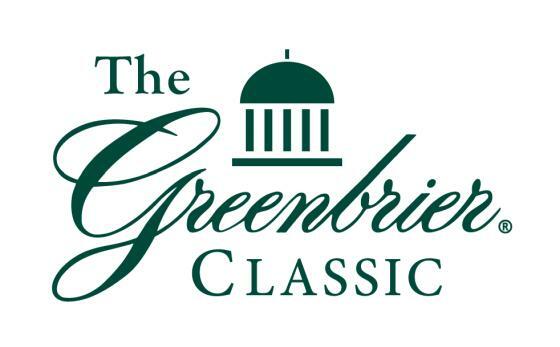 Follow The Greenbrier on Facebook at The Greenbrier, on Twitter at @the_greenbrier or on Instagram at the_greenbrier.